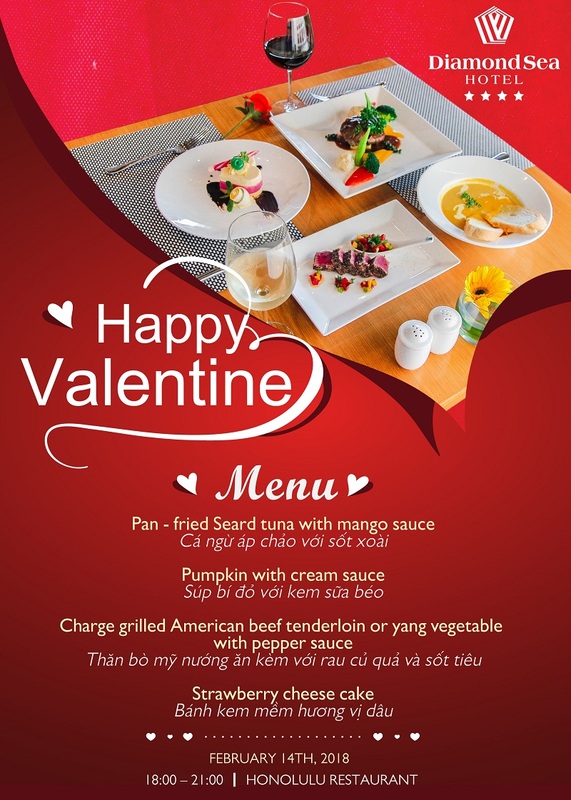 Wishing to contribute a part to your happy day, Diamond Sea Da Nang would like to introduce a special menu for Valentine’s Day 14.2 for only VND 695,000 ++ / table Book a table today. Diamond Sea Hotel, located in Phuoc My, Da Nang, is a popular choice for travelers. From here, guests can enjoy easy access to all that the lively city has to offer. With its convenient location, the hotel offers easy access to the city’s must-see destinations. Diamond Sea Hotel offers impeccable service and all the essential amenities to invigorate travelers. To name a few of the hotel’s facilities, there are free Wi-Fi in all rooms, 24-hour security, daily housekeeping, fireplace, taxi service. Guests can choose from 124 rooms, all of which exude an atmosphere of total peace and harmony. 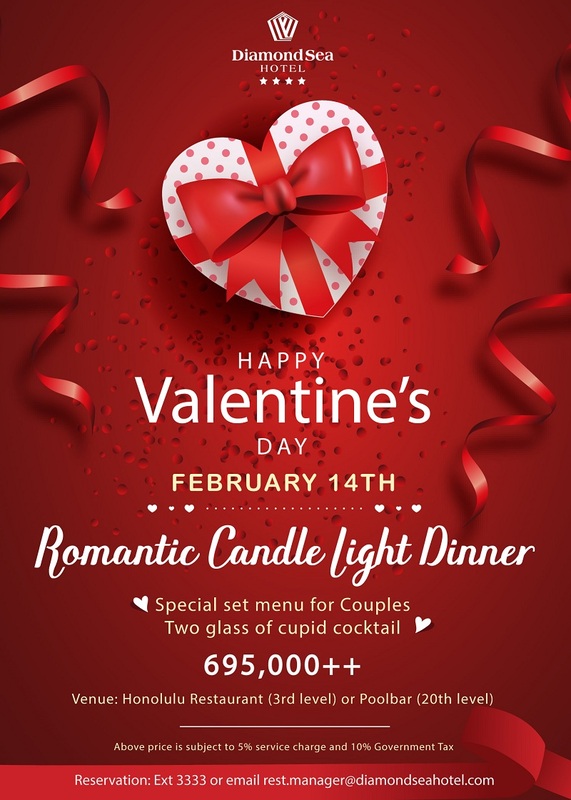 Whether you’re a fitness enthusiast or are just looking for a way to unwind after a hard day, you will be entertained by top-class recreational facilities such as fitness center, sauna, outdoor pool, spa, massage. Diamond Sea Hotel is a smart choice for travelers to Da Nang, offering a relaxed and hassle-free stay every time.